Multi-award-winning film composer and hit songwriter, Hélène Muddiman, has written music for many films including Happy Feet Two, Ice Age 4 , Frankenweenie, and Skin, for which she was nominated for an Ivor Novello, World Soundtrack Awards and a Hollywood Music In Media Award and won the Accolade Excellence in Music Award and The Moondance Award, for Best Original Score in 2010. Her songs have been hits across the world, including 3 songs on the gold selling album for The Spice Girl’s Emma Bunton, including top 5 hits ‘Free Me’ and ‘I’ll Be There’. 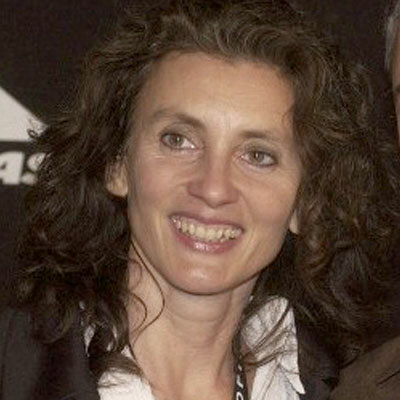 Hélène composed 2 albums for EMI through KPM, produced by Harry Gregson-Williams. Her singing has featured on many film scores and TV shows, including films by Hans Zimmer’s as well as hits for other artists. She scored many shows for the BBC (Food and Drink, The Murder Game) and ITV (The Trisha Show, Towie) plus the Bafta nominated Cartoon Network series The Cramp Twins.